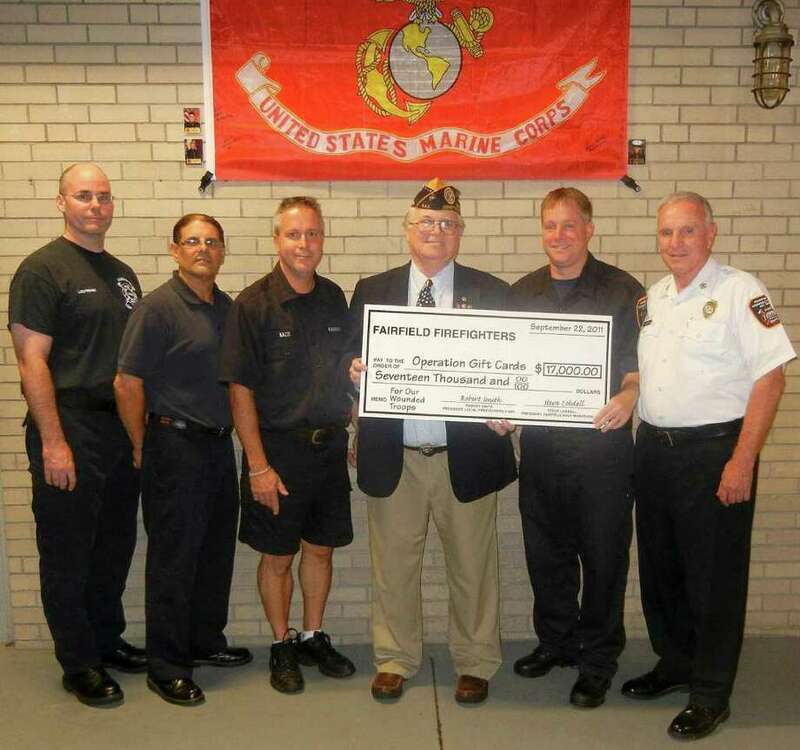 Fairfield firefighters recently donated $17,000 to a state organization that provides gift cards to military personnel wounded while on duty in Afghanistan and Iraq. The funds were raised by the firefighters' role in organizing the annual Stratton Faxon Fairfield Road Races in June. The road races included a half-marathon and 5-K race run on local waterfront courses over two days. The proceeds were donated to Operation Gift Cards, which since 2005 has donated more than $499,000 in gift cards for use in military posts, plus donations of goods such as Girl Scout cookies, laptops, corporate gift certificates, and more than $50,000 of wish-list items for wounded troops and their families. This year, firefighters raised an overall amount of about $440,000 for local charities, such as the Hole in the Wall Gang camp, as well as the wounded troops charity. More than $2 million has been raised since the first race in 1981, according to Steve Lobdell, a retired Fairfield Fire Department captain and president of the road races. From the first race three decades ago, participation has grown from 161 runners to nearly 6,000 runners this year. For more information about the Stratton Faxon Fairfield Road Races, contact Lobdell at 203-374-7759 or hajamax@aol.com, or about Operation Gift Cards, contact Al Meadows, the group's chairman, at 203-929-3357 or al.meadows@snet.net.